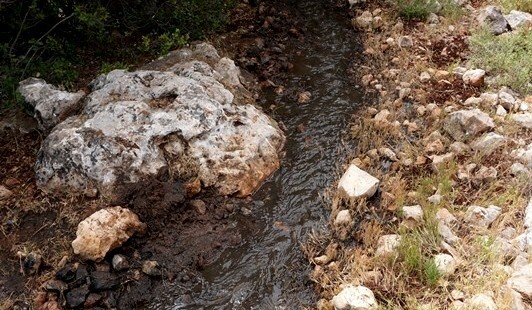 A powerful stream of settler sewage has been flowing from the illegal Israeli colony of Yakir onto Palestinian land in Wadi Qana, northeast of Salfit city, poisoning the soil and everything that depends on it. This morning the owner of that land dug a ditch to divert the sewage stream from the olive trees onto those that can better tolerate the poisoning. However, such a solution is only temporary; the sewage is still polluting the soil and vegetation in its path. 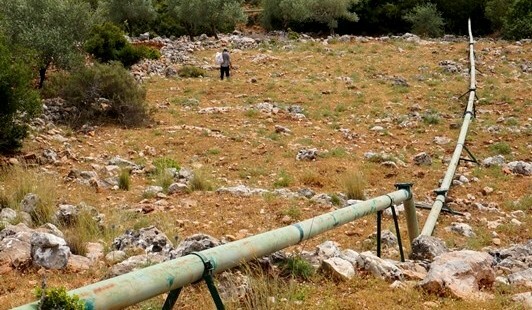 Reaching the source of the leak – the burst sewage pipe – was not an option, since from previous experience the farmer knows he risks violence from either the Israeli army, or settler police, or armed settlers themselves. 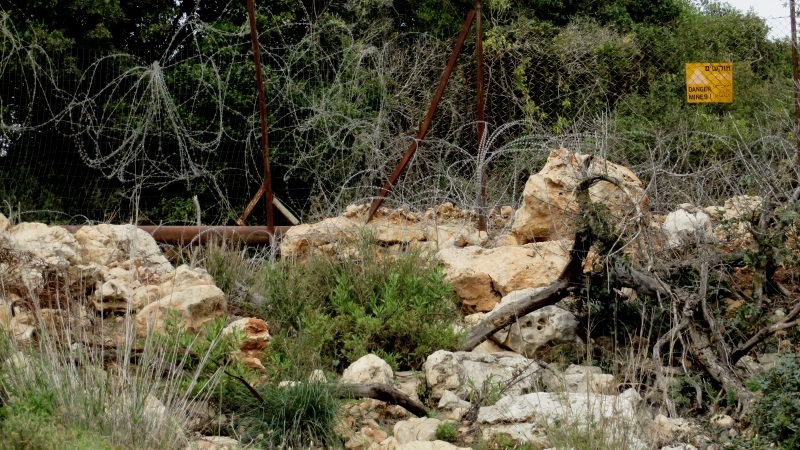 There is also the danger of mines around the fence that surrounds the illegal colony of Yakir. Expecting the settlers to fix their own sewage pipe would be naive and take time and paperwork. The olive trees can’t afford to wait. Yakir is a religious settlement; farmers say its settlers are aggressive and well-armed. The illegal colony was built on land stolen from farmers from the village of Deir Istiya and it is expanding – the surrounding fence is being constantly moved deeper into Palestinian land. Such theft is protected by one of the world’s mightiest armies. A bit further away from the main road leading to the colony of Yakir, on the way to the farmer’s land, the Israeli army established a military training ground. Marked targets and empty live ammunition shells bear witness to the violence inflicted on the area that for thousands of years was home to the olive tree. 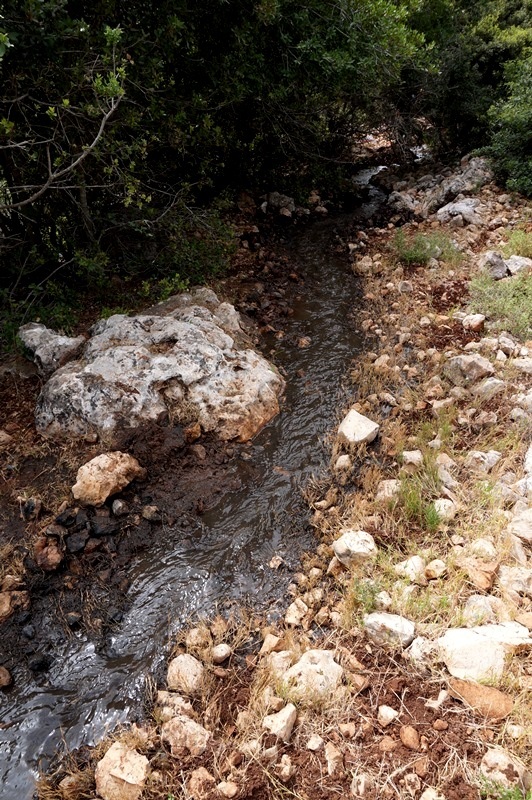 Settler sewage flowing onto the olive trees. The fence surrounding the illegal Israeli colony of Yakir, patrolled by settler police; right next to it is the burst sewage pipe, as well as a sign warning of mines. 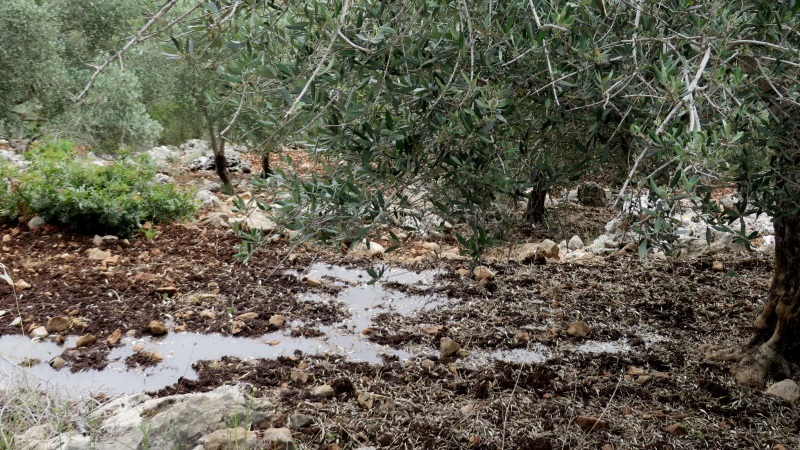 The Palestinian farmer dug a ditch to divert sewage stream from his olive trees. 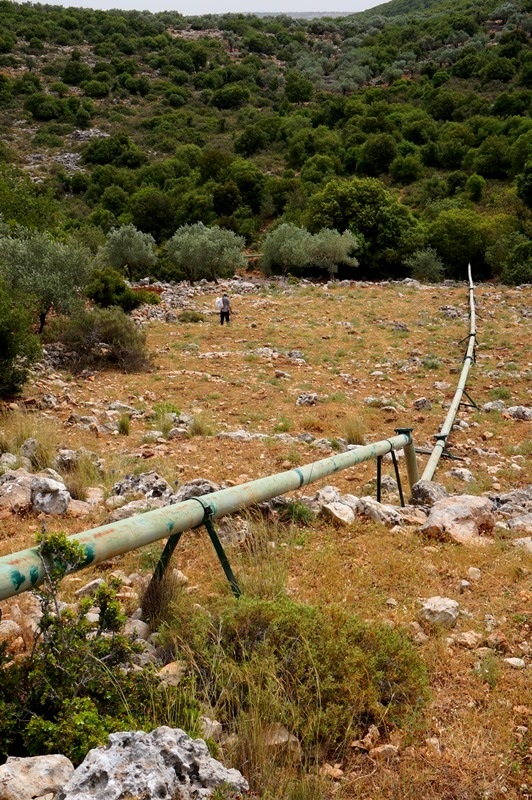 Settler sewage pipe installed in Wadi Qana in 2005, after years of struggle by Palestinian farmers. Israeli army training area in Wadi Qana, next to the illegal colony of Yakir. 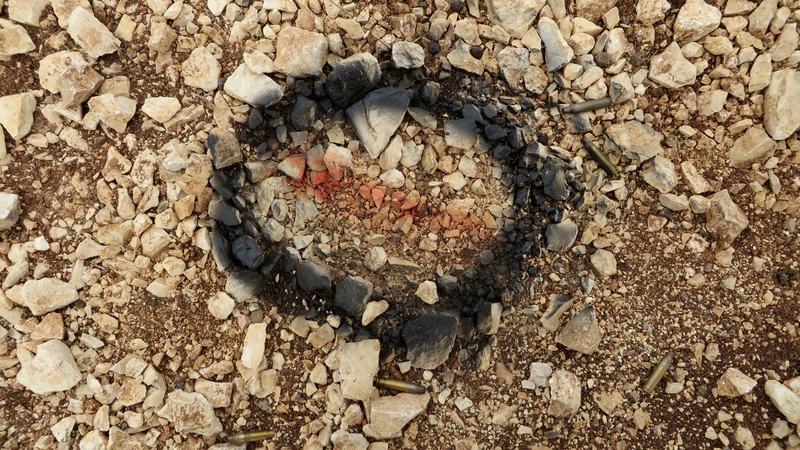 What is the meaning of the black ring and red line drawn on the dirt? I can see the shells of bullets next to it. This photo was taken in the make-shift Israeli army training area close to Wadi Qana. Huge piles of dirt have been bulldozed to the sides to make way for a stage-like flat circle, on one side of which we found these black&red circles with empty live ammo shells next to it. We can only assume that these were the points with the targets (perhaps later removed) and the soldiers were shooting from the top of the dirt mound. The area is only a 5-minute walk from the main road leading to the illegal settler colony of Yakir; it is Palestinian land and the place through which farmers go to reach their olive trees.